If you follow me on Instagram you may remember seeing that we were chosen to be brand reps for The Bump Company. We recently received our first parcel from them and I wanted to share what we received. 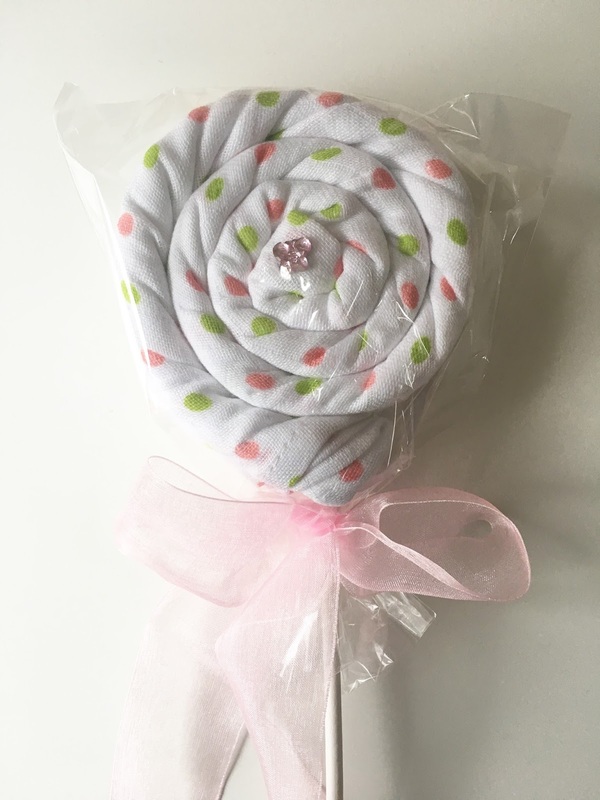 The Bump Company are a small team who put together gorgeous baby gifts and keepsakes. They have everything from baby shower items, nappy cakes and new mum gifts. The clothing bouquets are all handmade to order. Everything was packaged so gorgeously. I really is nice when a company takes care when packaging an item especially if the item would usually be bought as a gift. 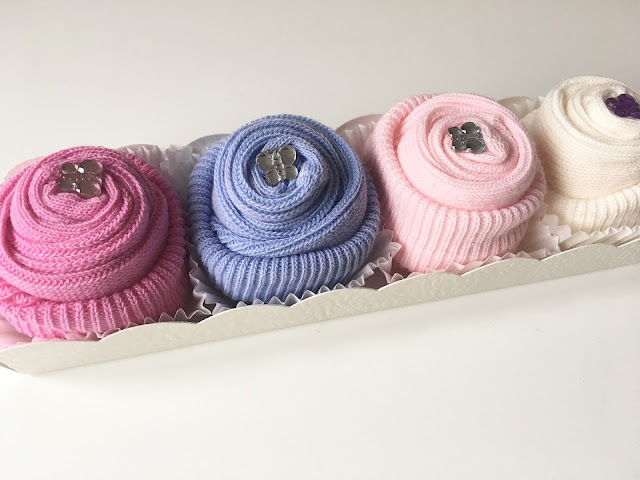 New mum/baby gifts are always so special to buy so you want to know that when your gift arrives it will look just as gorgeous as it does on the website, with The Bump Company it will! We received some gorgeous things from the new items. First up was the very sweet Baby Sock Bud. 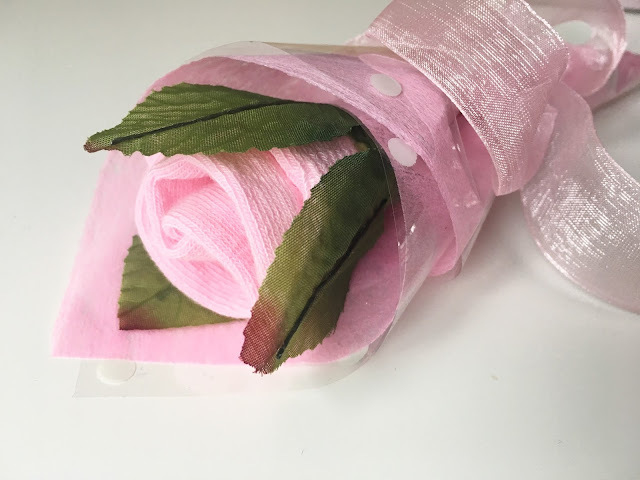 This is a gorgeous pair of socks wrapped up to look like a flower. Next up are these equally as cute Fairy Cakes. These are a set of four pairs of socks. These are again packaged in a way to make them look like something else, this time some lovely fairy cakes. I love the idea of having them look like something else. It makes them such a lovely gift and so lovely to send and receive. 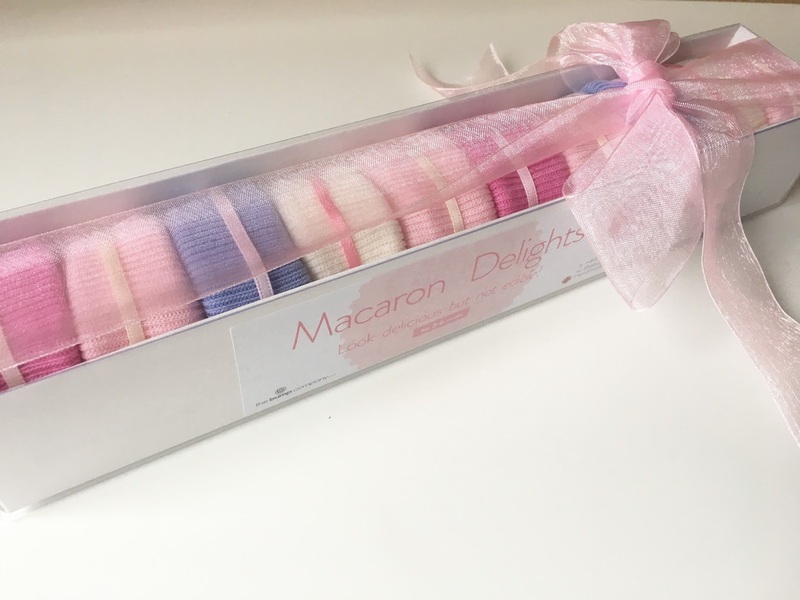 Next up are the Macaron Delights box set which are again socks that are packaged to look like macarons. 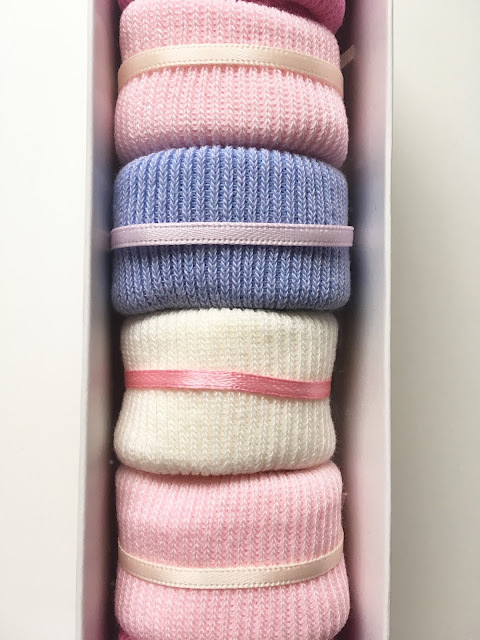 In this set you get five pairs of socks ad each is wrapped to look like a macaron. square wrapped to look like a lollipop. The muslin is soft and thick, it feels lovely and washes really well. All the items we received are really lovely quality and so soft. I love that they are all really practical gifts but that they look really lovely too. The items we were sent were more girly for baby girl but they do boy versions and gender neutral ones too. We were also sent two little teddies for Paige and Parker, such a lovely thoughtful gift. Thank you! I have a great competition for you to win a £50 voucher to spoil yourself or someone special. To enter simply use the rafflecopter form below and good luck! •Competition will close on the 21st December 2016. •Winners will be chosen at random. •The prize cannot be transferred and no cash alternative is available. •Voucher will be provided by The Bump Company. 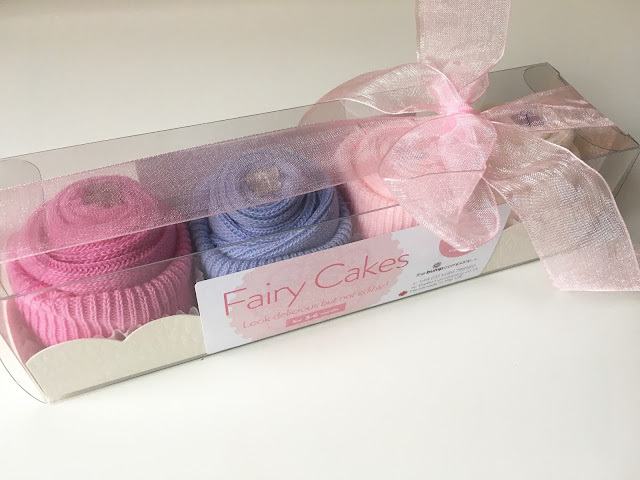 Love the Fairy Cakes - Box of Cupcake Socks Gift - Pink! The Little Mouse Bone China mug is adorable! The Luxury Shawl Nappy Cake. I love the Fairtrade Crochet Rabbit in Lemon! I love the baby love bouquet in natural. Such a clever idea! Baby Bliss - Tutti Frutti is so lovely, but they are all delightful and it was a hard decision. The Baby Love Bouquet - Pink! So gorgeous! the tutti fruitti bouquets are cute! the crochet sandels are so cute! The Luxury Shawl Nappy Cake - Double Tier Pink is just gorgeous! The Organic Cotton Duckling Set is super cute! I love the baby bouquets!